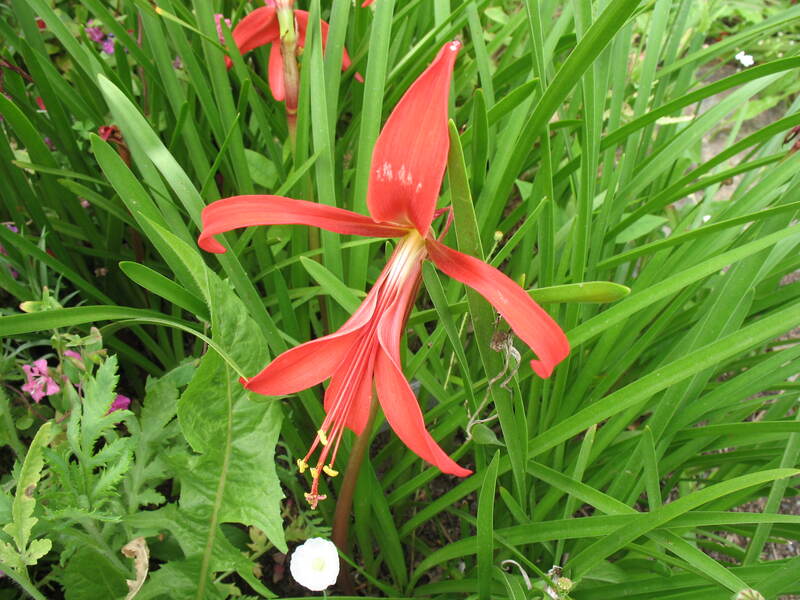 Comments: This bulb is a member of the ammaryllis family and produces red exotic flowers during the spring and summer. The narrow leaves are smooth textured. Do not overwater this bulb. Reported that bulbs should be in a relatively dry soil during winter dormancy.